The Nissan Murano is a five-passenger mid-size crossover that has been around since the early 2000s. Back then, it was one of the largest vehicles using a Continuously Variable Transmission. But a lot has changed since the Murano was first introduced to the market. 2019 sees a completely new crossover full of innovative technologies, features, colours and a fresh-faced design. 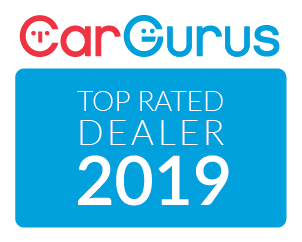 Learn why our clients love the Murano and are consistently choosing this SUV over competitors like the Ford Edge and even some luxury offerings like the Lexus RX 350. Let’s start with what stays the same. The 2019 Murano houses a 3.5-litre V6 engine that offers up 260 hp and 240 lb-ft.. And like it did back in 2003, it comes paired with a CVT which remains standard across all four trims: S, SV, SL, and Platinum. Everything else is fresh. 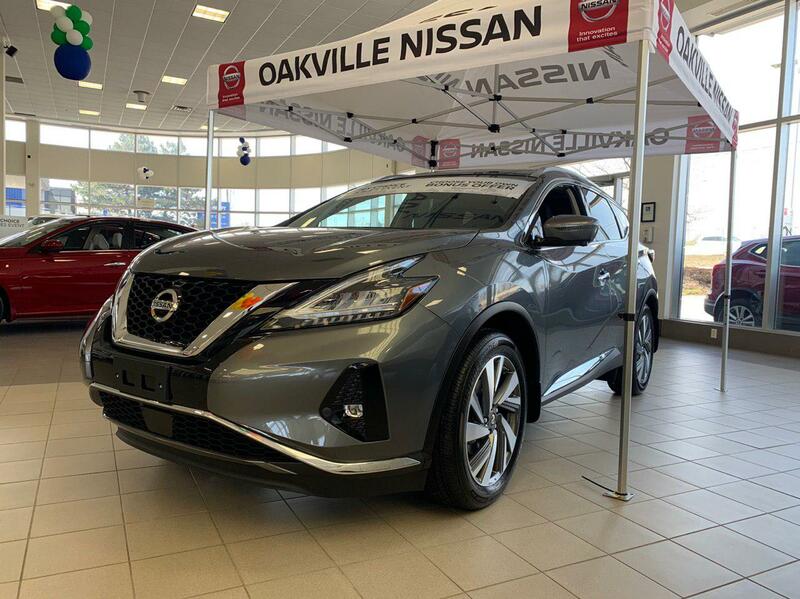 The new Murano showcases a more prominent V-Motion front grille, completely redesigned LED headlights, taillights and foglights, and 18 and 20-inch wheels. There are more exterior colours to choose from, too, including Sunset Drift and Deep Blue Pearl. 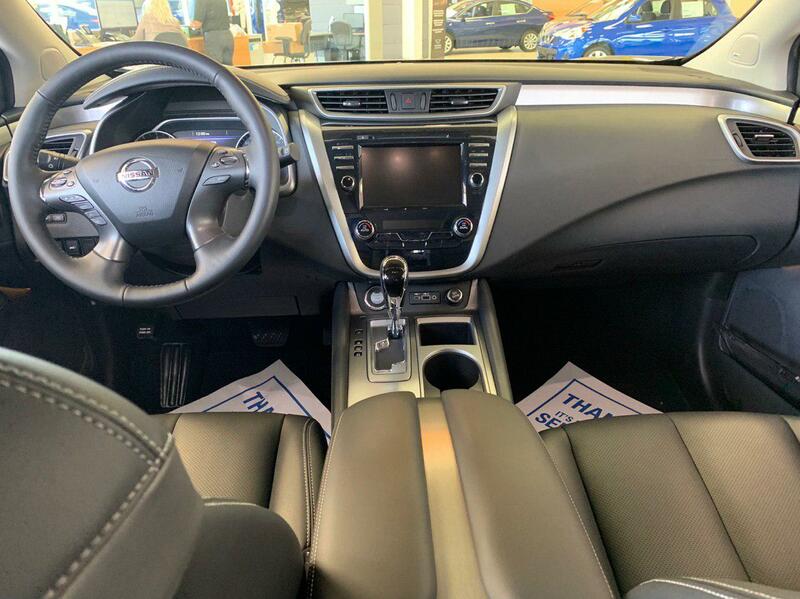 On the inside, the Murano sports new semi-aniline leather-trimmed seats with diamond quilted inserts and contrasting micro-piping trim on the seats and door armrests on the Platinum trim. You can also opt for a dark wood-tone in the Platinum trim or the light wood-tone in the other three. Finally, the S, SV, and SL trims all offer the metallic option. The most exciting additions to the Murano for 2019 are by-and-large the new tech the updated crossover now houses. In addition to NissanConnect, the Murano features Apple CarPlay and Android Auto and a new 8-inch colour display. Another exciting addition is embedded navigation which incorporates satellite imagery with POI search, all showcased using 3D building graphics. Nissan has also made sure to include the best and most innovative tech inside the Murano. With Nissan’s Safety Shield 360, features like intelligent emergency braking with pedestrian detection, lane departure warning, blind spot warning with rear cross traffic alert, high beam assist and rear intelligent emergency braking all come standard. That means the Murano is packing the perfect combination of tech to keep you and your passengers safe on the highway. We are proud to service the communities of Oakville, Burlington, Mississauga, Hamilton and beyond. Our sales team has combined over 20 years of experience helping Ontario residents find the right fit for their differing lifestyles. We’re also proud to be Nissan Global Award Winners for 2018. 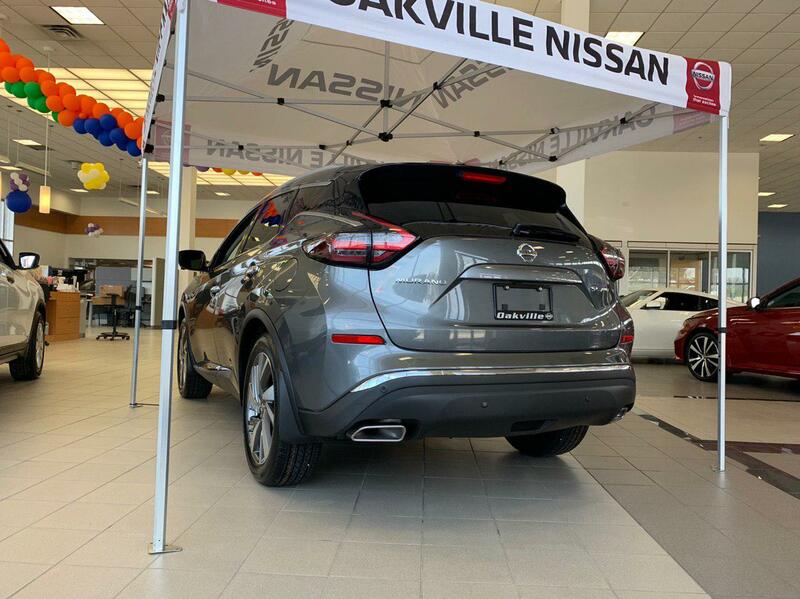 We hold ourselves to the highest standard at Oakville Nissan. That means offering our guests an exceptional experience the second they walk in the door and a lifelong commitment when they drive off the lot. That includes a Lifetime Free Oil Changes program, Express Service options and a commitment to doing whatever it takes to make sure your experience is an amazing one.